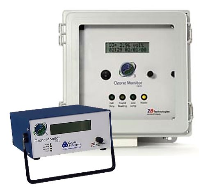 Below is a selection of gas monitoring products from leading manufacturers. Measure, NO, NO2, O3, SO2, CO, CO2, H2S, BTEX, Formaldehyde and more. Network ready, compact, portable and fixed systems are available to suit every budget. We also offer a programmable automated gas sampling system. 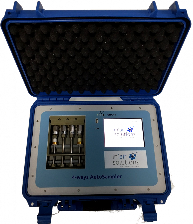 Revolutionary new air quality monitoring system for ambient air monitoring. NO,NO2, SO2, O3 and CO. Also measures temperature, humidity and atmospheric pressure. Battery operated, small and low maintenance but with exceelent accuracy and precision. 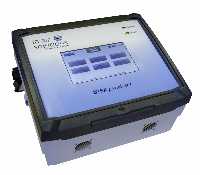 Formaldehyde monitor capable of sub ppb detection and real time monitoring. 2BTech monitors for OzonE, Oxides of Nitrogen and Mercury feature a compact design and perform to a level similar to full size monitors. Battery operated and perfect for low power and limited space applications. Gas Chromatography system for air qulaity monitoring. Trace level detection of BTEX and many other ozone precursor compounds. Battery operated portable BTEX monitor with sub ppb detection. Complete analysis is less than 15 minutes. A portable battery operated air sampler. program collection of samples on up to four tubes.